The SEIU spent $85 million on Barack Obama's campaign and millions more on pushing for DemCare. Among its biggest rewards will be millions of medical civil servants -- and millions of new, dues-paying members. The Wall Street Journal's September 10, 2009 op-ed ("Read the Union Health-Care Label -- Get ready for Detroit-style labor relations in our hospitals"), describes state-run health care as opening "the door to implement forced unionization schemes" by reclassifying in-home health-care (and child-care) contractors as union members. 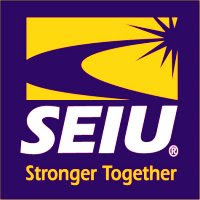 But why is the SEIU so desperate for state-run health care? Put simply, union bosses appear to be underfunding their members' pensions, deliberately and systematically, while enriching their own plans. 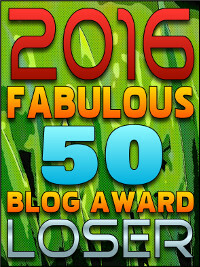 And someone has to make up the shortfall. That someone is you. 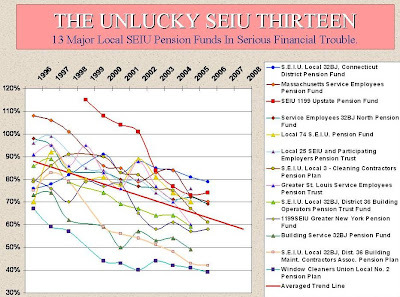 Of all major unions, the SEIU appears to be one of the worst at the practice of underfunding its retirement obligations. Aside from being a major supporter of the far left Democrat agenda, it is tied to ACORN and its variants, the the disgraced posse of community agitators. So the act of skirting ethical, legal and moral hurdles doesn't appear to be a stumbling block for this crew. 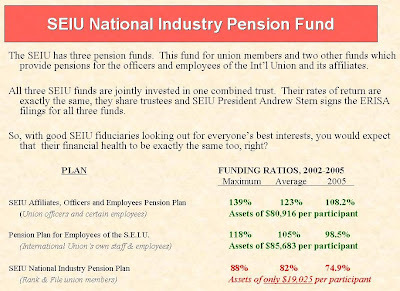 • Separate funds for employees of the SEIU itself were 105% funded, with about $85,000 per person. The problem exists not only in the SEIU's national plans. 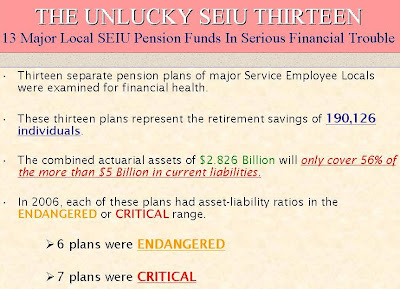 The U.S. Chamber of Commerce revealed that 13 SEIU local pension plans were less than 80% funded. 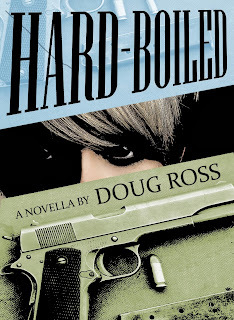 Six were less than 65% funded, clearly in a danger zone. 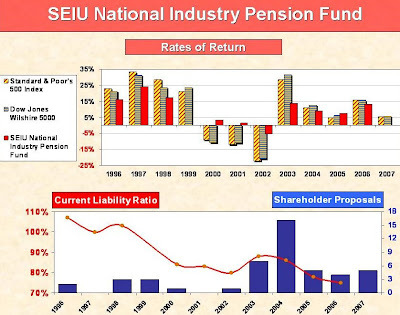 To regain some semblance of fiscal stability, the SEIU has wagered heavily on forcing other employees to help fund its shattered pension reserves. That was the motivation behind the Employee Free Choice Act (EFCA) ("Card Check"), a major Democrat initiative for 2009, and one on which the SEIU spent tens of millions of its members' money. Since Card Check is in serious trouble with lawmakers, state-run health care must suffice. DemCare was a Democrat payoff to union bosses, who fear what will happen to them when the massive pension disparity between workers and bosses becomes widely known. DemCare was designed, first and foremost, to reward the SEIU. It's not about health care. It's about the redistribution of tax dollars from your wallet into the unions' coffers. And, no matter how these central planners, these masterminds, swirl the money around, their unfunded pension liabilities will crush taxpayers as certainly as night follows day. Think how much of that money could have been best given to the pensioners. I understand now that Andy Stern is resigning from SEIU (read it at Weasel Zippers). Think the opening on the Supreme Court has anything to do with it?